Bagged AP, timed-fuzed HE and incendiary shrapnel rounds. Illuminating rounds were also provided. 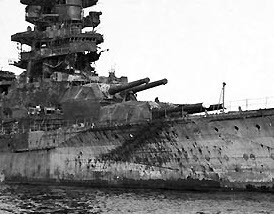 The 16"/45 Model 1914 gun was used only on the Nagato-class battleships.